As part of its ongoing efforts to assist displaced population in Myanmar’s Rakhine State, the AHA Centre deployed ASEAN Emergency Response and Assessment Team (ASEAN-ERAT) personnel to Myanmar from the 15th – 31st of January, 2018. Tasked to support the work of the Disaster Management Department of Myanmar, the deployed ERAT team was made up of members from the Philippines and Singapore, alongside one AHA Centre staff. 3. Undertaking preparations for the next ASEAN-ERAT Induction Course that will be held in Myanmar later in 2018. Between October 2017 and January 2018, the AHA Centre facilitated the provision of 80 tonnes of relief items, delivered in two batches from the ASEAN regional stockpile in Subang, Malaysia. In December 2017, additional relief items were locally procured by utilising a S$100,000 contribution from the Government of Singapore. 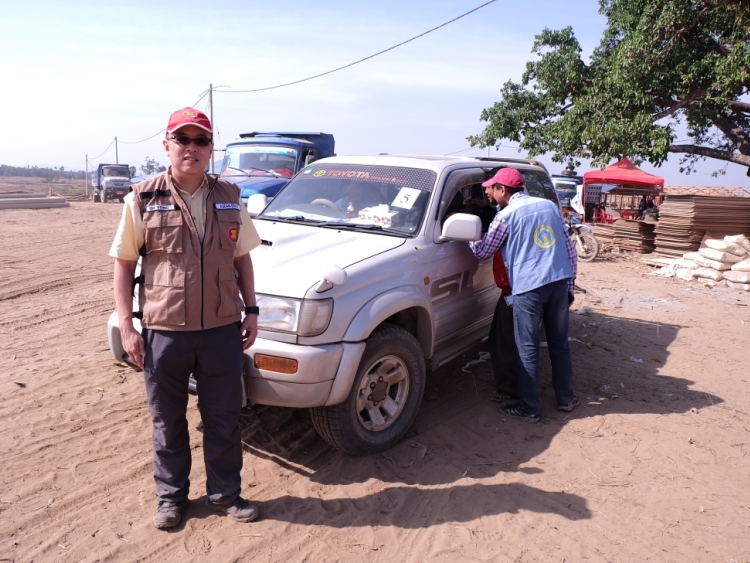 Part of this deployment mission included a two-day field observation to Rakhine State, through which the ASEAN-ERAT members confirmed that the distribution of relief items was undertaken as reported by the Disaster Management Department of Myanmar. The ASEAN-ERAT team also observed the state of temporary shelters, prepared by the Government of Myanmar for displaced communities in Rakhine, as well as those that may return from outside the State. This temporary settlement is equipped with clean water, as well as pre-positioned materials such as clothes, food, and kitchen sets. 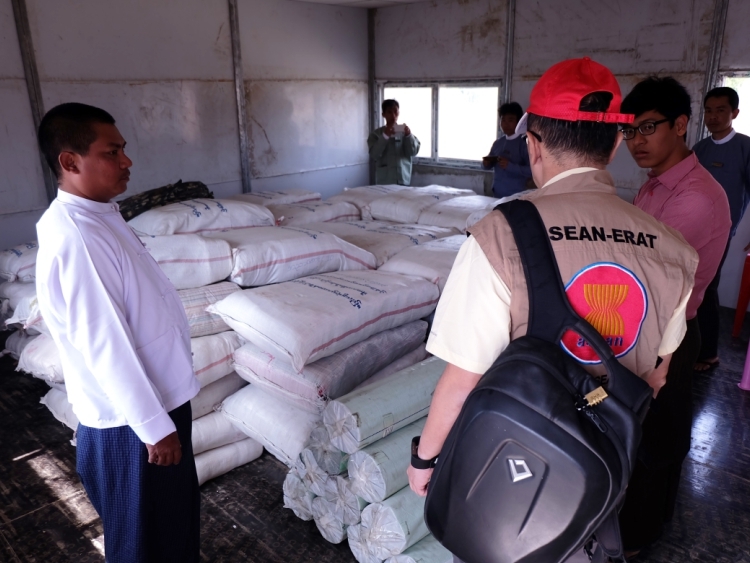 In addition to the existing efforts, the Government of Myanmar has developed a stockpile of contingency relief items in Sittwe and Maungdaw, in anticipation of future events, such as flooding, during the approaching monsoon season. Throughout their mission, the ASEAN-ERAT members worked closely with the Director-General and staff of the Disaster Management Department, alongside the Myanmar Red Cross, the General Administration Department in Rakhine, and the Fire Services Departments in Nay Pyi Taw, Yangon, and Rakhine. 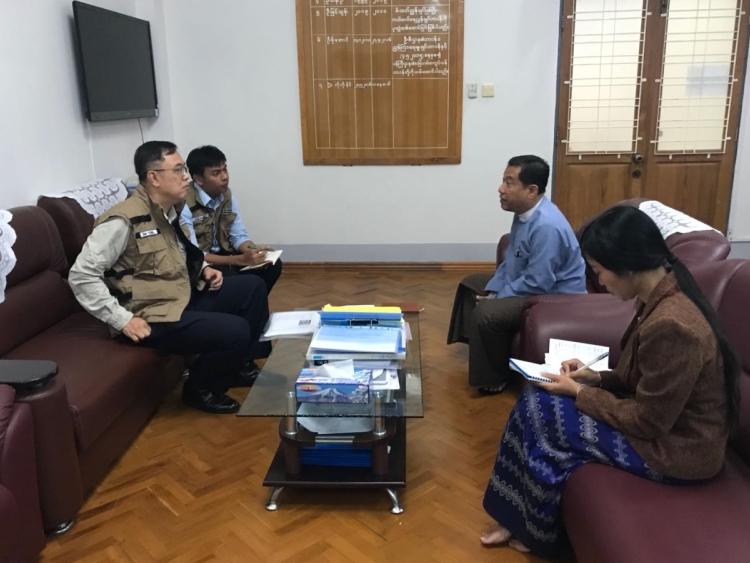 They worked together conducting a needs assessment, and developing recommendations to further enhance the ongoing provision of humanitarian assistance to the affected communities in Rakhine State. “THE AHA CENTRE WOULD LIKE TO THANK THE GOVERNMENT OF MYANMAR FOR WELCOMING OUR ASEAN-ERAT MEMBERS TO WORK IN NAY PYI TAW AND RAKHINE STATE. THE MISSION DEMONSTRATES ASEAN’S SOLIDARITY, HELPING ONE ANOTHER IN TIMES OF DIFFICULTY, UNDER THE SPIRIT OF ONE ASEAN ONE RESPONSE,” SAID ADELINA KAMAL, EXECUTIVE DIRECTOR OF THE AHA CENTRE.